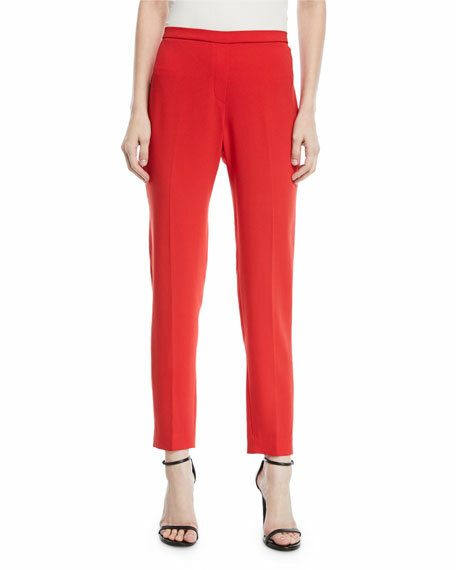 Elie Tahari "Marcia" crepe pants with front seam detail. Approx. measurements: 9" front rise; 29.5" inseam; 11" leg openings. 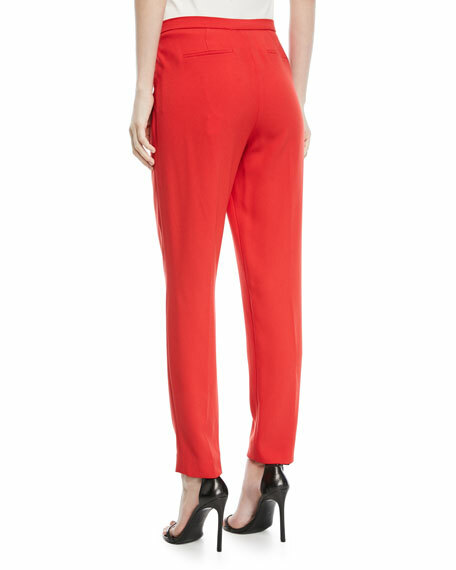 Flat front; faux back welt pockets. 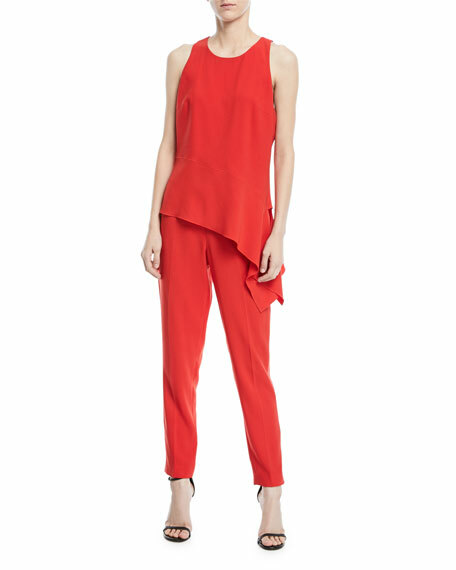 For in-store inquiries, use sku #2461940.